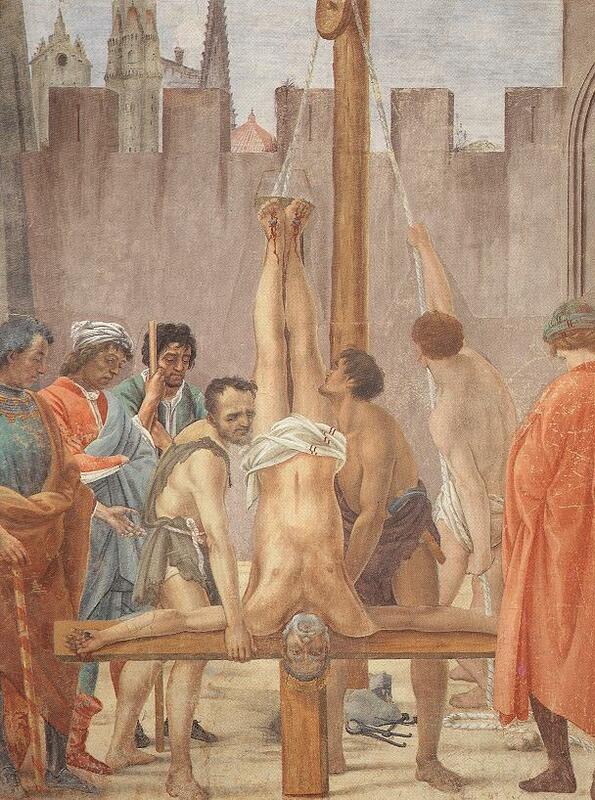 [T]he figure wherein ye now see me hanging is the representation of that man that first came unto birth. Ye therefore, my beloved, and ye that hear me and that shall hear, ought to cease from your former error and return back again. For it is right to mount upon the cross of Christ, who is the Word [Logos] stretched out, the one and only, of whom the Spirit saith: For what else is Christ, but the word, the sound of God? So that the word is the upright beam whereon I am crucified. And the sound is that which crosseth it, the nature of man. And the nail which holdeth the cross-tree unto the upright in the midst thereof is the conversion and repentance of man.